Aye, it’s me once again, Bob Friendly! Back from my holidays while the footie took a wee break, just in time for another thrilling weekend of Premier League football. It sure was an interesting one for our Super Savers. We had magnificent saves (take a bow Ben Foster) and we had some endless situations whereby keepers were picking balls out of the back of the net (bad luck Messrs Boruc, Guzan and Gomes). 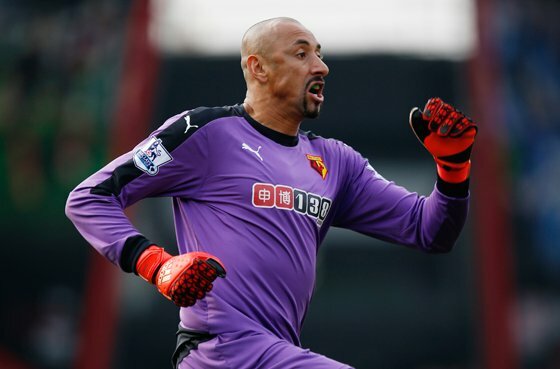 Despite him not having a great last week, I want to focus a little bit on Brazilian shot-stopper Heurelho Gomes. Watford’s Gomes has cost his side only £5,048 per save so far this season, making him the most cost-effective keeper of the Premier League, pushing Stoke’s Jack Butland into second place (taking into account performance and the latest stats on pay checks). Gomes has been outstanding this season, and if it were not for him the Hornets would be staring down the barrel of relegation. With just six or seven games remaining for the teams, here is how our table is shaping up. The below table looks at how the teams might rank if goalkeepers didn’t exist.